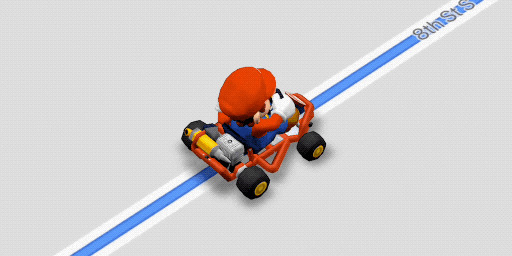 “Mario Mode” changes Google Maps’ blue navigation arrow to a “Mario Kart” character, in honour of Nintendo’s iconic video game series. It’s in honour of March 10th, or “Mario Day.” Mar. 10. Mario. Get it? “Mario Mode” will be available for a week, according to Nintendo. 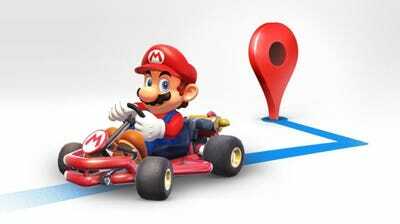 In simple terms, “Mario Mode” changes Google Maps’ blue navigation arrow to a go-kart from the “Mario Kart” games. 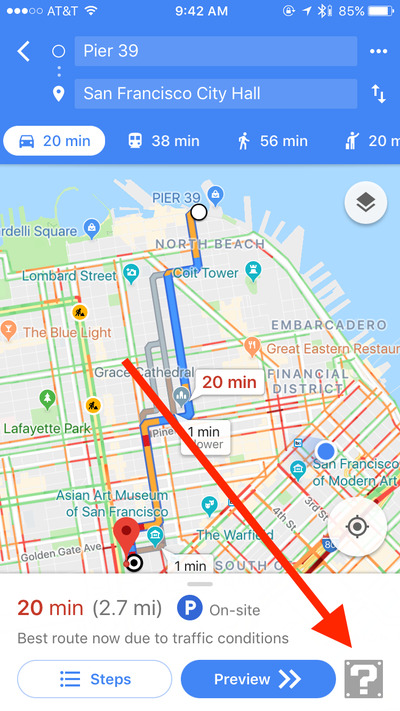 Starting today, Google Maps users can unlock the feature by clicking the question mark box at the bottom right corner of the Directions screen. From there, just click “Let’s-a go!” and it’s Mario time. The gimmick was announced as a celebration for March 10, named “Mario Day,” because “MAR10” looks a little like the word “Mario” when written down. 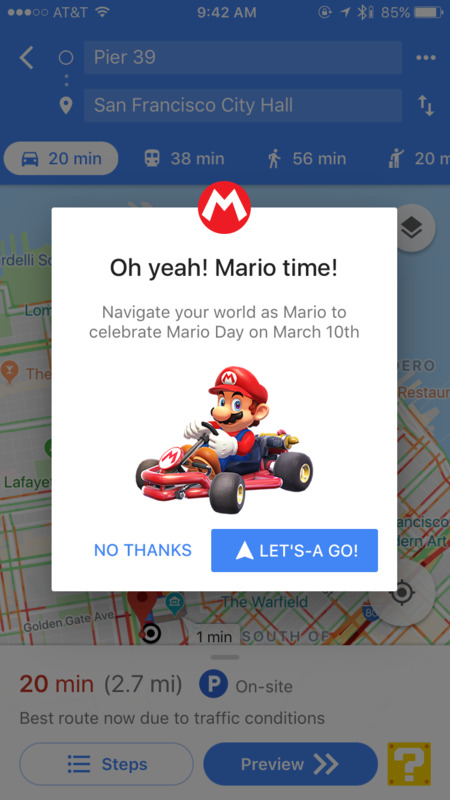 Google Maps confirmed via its official Twitter account that the feature will be available for a full week, so users can activate (or deactivate) “Mario Mode” at any time between now and March 16. The Japanese game company is currently working on “Mario Kart Tour,” the first time the series will appear on smartphones. Activate it by clicking the question mark block in the bottom-right hand corner of the screen. In the “Super Mario” games, these blocks dispense mushrooms and other useful items. Just watch out for Blue Shells out there.